Announcement: Three swinging days and nights of dancing this weekend! Saturday and Sunday, April 29th & 30th: Jean & Bromley workshop is finally here! The first class will start at 10.00 AM Saturday morning at the Weller House Ballroom, Bonnie and Craig will be there at 9.15 am to get things ready and check dancers in. It is a good idea to get there early to warm up and get ready. Please try not to be late, as someone will have to leave the class to check you in. We will be rotating during class, It's OK if couples choose to not rotate. Try to keep talking during class to a minimum. Dancing swing is demanding. Listen to your body; drink lots of water; sit out if you need to. Bring your cameras. There will be time after each class to video class recaps. Here's the Schedule and Class descriptions and the J&B Workshop Schedule.PDF . Saturday Night: There will be a Pot Luck Party. John Kaijankoski 's house, 5:30 ish. As always, John's famous pasta sauce will be there! Bring sides, salads, appetizers, pasta to share. Bring your own beverages. Dinnerware provided. 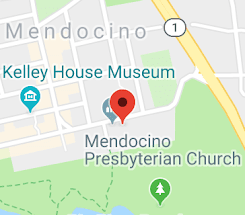 Contact john@mendocinolindyhop.org for directions. THE SUNDAY NIGHT MSDS SPONSORED WELLER HOUSE DANCE IS CANCELLED. Nick ended up in the ER today and they will not be able to play for us. Sunday Night: MSDS sponsored Swing dancing with the home grown "Swing Doctors" at the Weller House Ballroom from 7 to 9:30 PM.